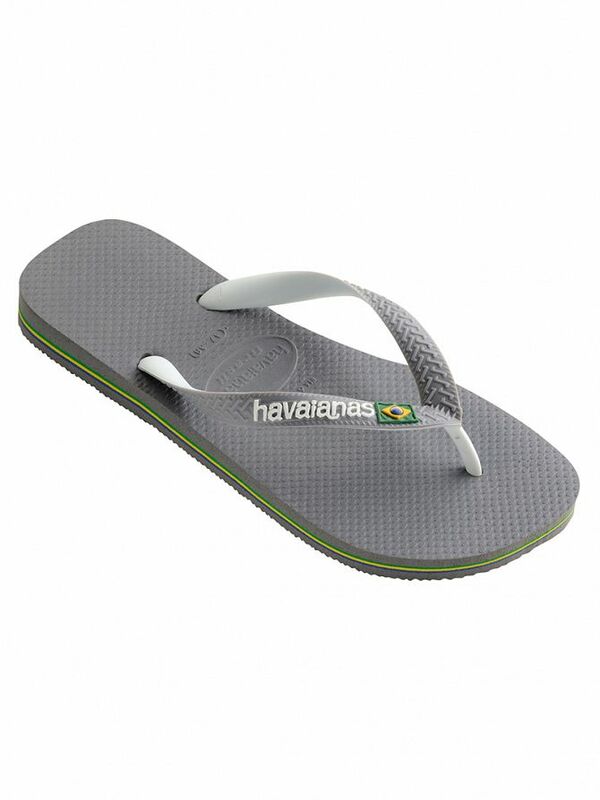 Havaianas offers these Brasil Mix Flip Flops with a multi-coloured stripe pattern over the sides. They feature a cushioned foot bed designed for comfort, and are available in Steel Grey/White. 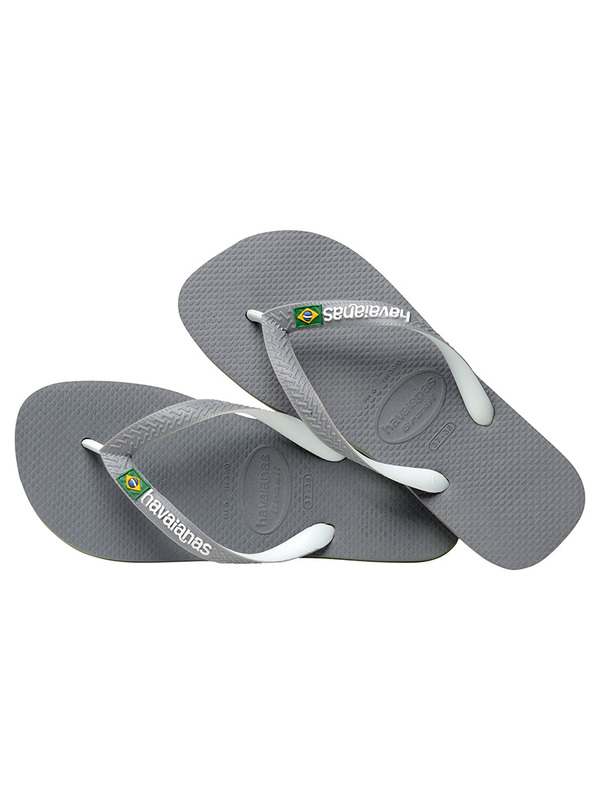 This pair of flip flops comes with the brand logo and an emblem of the Brazilian flag on the contrast straps. 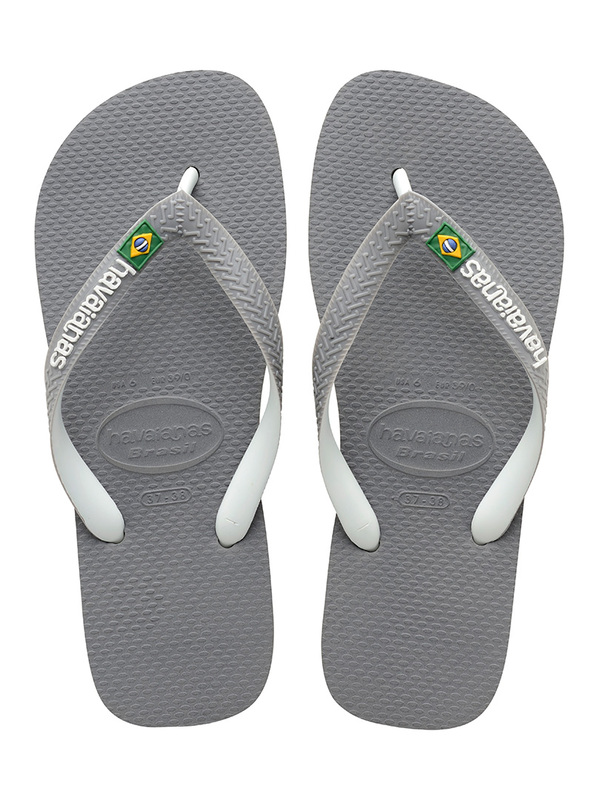 Sizing conversion: Brazil 39/40 = UK 06/07, Brazil 41/42 = UK 08, Brazil 43/44 = UK 09/10, Brazil 45/46 = UK 11/12.